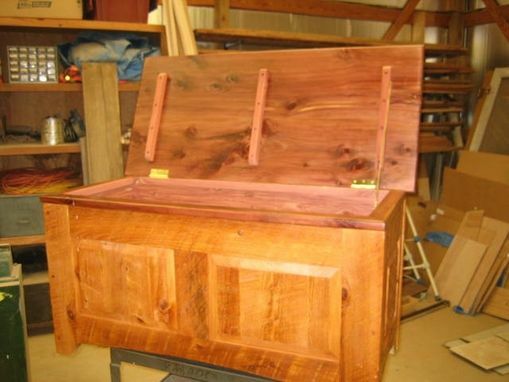 I made this cedar chest to go at the foot of a platform bed for a hunting lodge. The cypress wood came from Louisiana and had been stacked in a barn for 50 years. The cedar was harvested and dried by my neighbor and I milled it down to suitable dimensions for this chest. 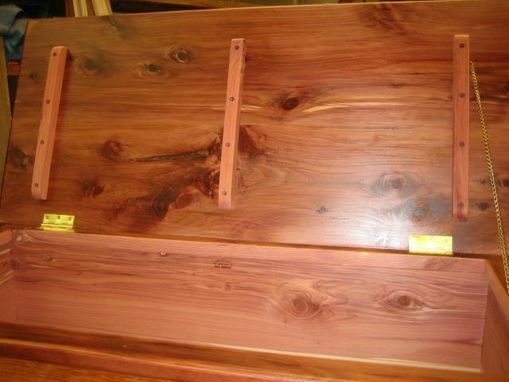 The finish is shellac. Dimensions: I don't remember the exact dimensions.